Our teachers work hard to ensure children have every opportunity to stretch their learning through play. "It’s never just routine. It’s about thinking about what you know and pushing further. It involves open ended or ill-structured problems and novel, puzzling situations. It’s never just problem solving it involves problem finding. It’s not just about right answers. It involves explanation and justification. It’s not emotionally flat. It involves curiosity, discovery, creativity, camaraderie” (Professor David Perkins, Making Learning Whole, 2009, p.29). 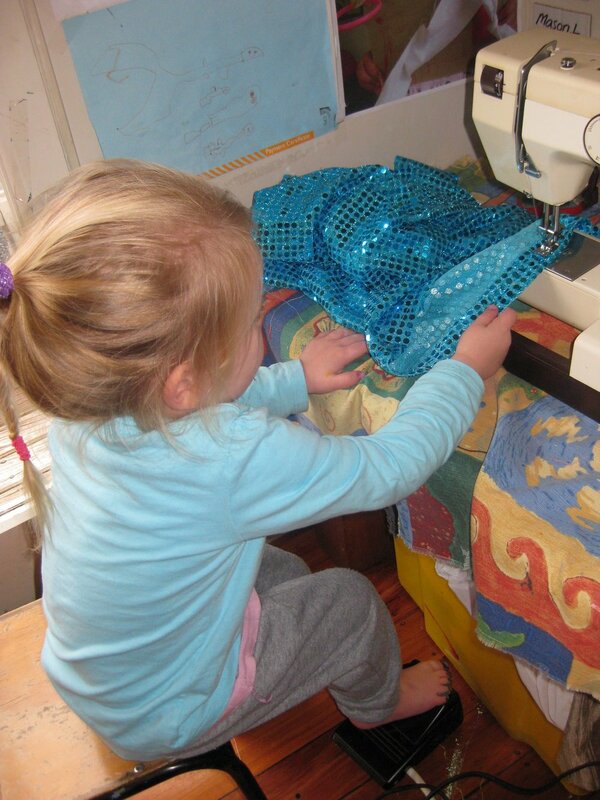 Children have time and space to go beyond the superficial, and projects made in the 'Tinkering Shop', in the Sewing and Art studio, may take days or weeks to complete to each child's satisfaction. The learning day is very flexible. Learning is wrapped around each individual child because learning naturally occurs at varying rates. Children are supported by strong connections with a key teacher who tunes into their interests and supports these to grow.